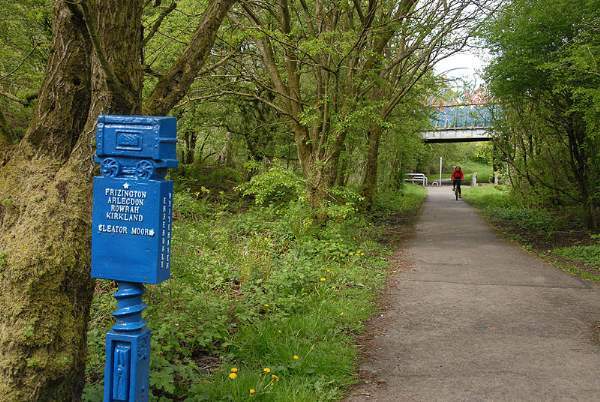 The Whitehaven to Ennerdale Cyclepath is a 10 mile surfaced cycling route from Whitehaven on the west coast, passing through Cleator Moor, then to Sheriff’s Gate, between Rowrah and Kirkland. From here it is only a short distance along quiet roads to Ennerdale Lake and Ennerdale Forest. 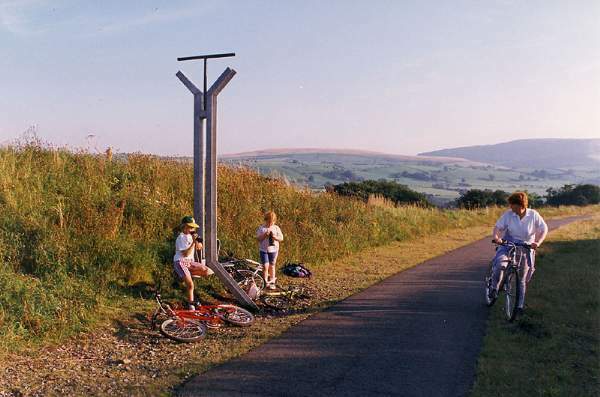 It was developed by the West Cumbria Groundwork Trust in partnership with Sustrans, as part of the West Cumbria Cycle Network. 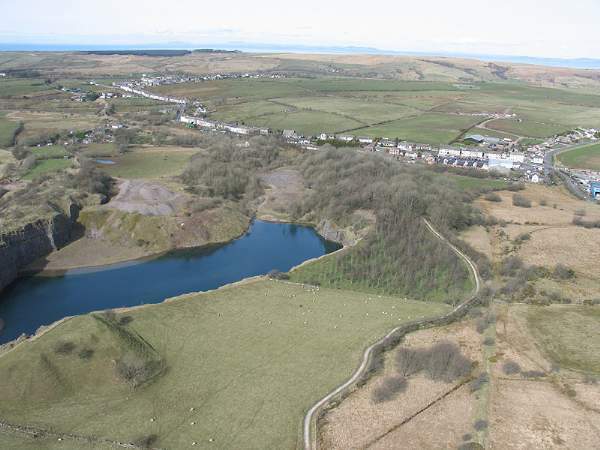 The cycleway follows the route of the Whitehaven, Cleator and Egremont and Rowrah and Kelton Fell Railways, which were built in the 1850’s to carry the coal and iron ore from the mines and quarries that were once very active in this area. By the early 1900’s much of the ore had been worked out, and the coal was becoming too expensive to mine. The Rowrah and Kelton Fell line closed in 1933. The Rowrah to Whitehaven section struggled on for a few more years before finally closing in 1978. The cyclepath has proved to be a popular way for both locals and tourists to explore the West Cumbrian countryside by bike. A sculpture trail adds interest to the network, featuring work by a range of local and visiting artists, plus contributions by local school children. 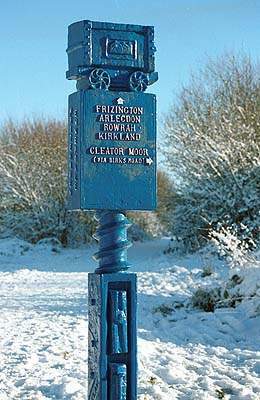 At Frizington, with one of the many pieces of artwork. Whitehaven is also the starting point of the popular 140 mile long C2C Cycle Route, which travels along the Whitehaven to Ennerdale Cycle path, then through the scenic delights of the Lake District and on over the roof of England to the remote North Pennines before reaching the north east coast. From the railway end at Rowrah, the cyclepath continues past the old Rowrah Quarry to Sherrif Gate, by Lamplugh School.